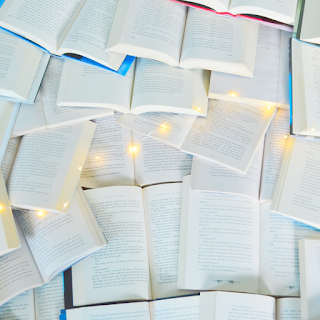 At ten years old, a bookworm, I had already decided I was going to be Hermione Granger when I grew up. She was everything I aspired to be: creative, intelligent, strong, beautiful, powerful, not to mention that she could cast any spell she wanted and attended my dream school, Hogwarts. When fall came to South Carolina, leaves crunchy but weather still warm, my friend across the street came over to deliberate the critical and ever-important Halloween costume. As we plotted how best to scour and scavenge to maximize our candy intake, she told me that I couldn't be Hermione. "I look more like her. You can be Cho." Not wanting to compromise our candy schemes, I said nothing. She was right, I figured, her almost wavy, light brown hair suited Hermione better than my dark, straight hair, my tan skin. Of course I couldn't be Hermione, I was Cho Chang of Ravenclaw, the only character of east Asian descent in the series, once Harry's love interest and then disappearing in the following books. When fall came to New York, the air, cold, crisp, biting, signaled the start of a new school year. My dad, a soldier, had been stationed at West Point. We left friends, schools, surroundings, a community, roots behind. A fresh-faced student at the middle school, I had excitedly brought a binder of my elementary school writings to show my new teachers and advisers. At lunch I sat alone, eating my mom's homemade kimbab, my favorite meal to eat at school. When two students approached me, asking if they could try my "sushi", I obliged, hoping to make new friends, and tried to explain that kimbab was different from sushi. They spat out my food, my mom's food, and made a spectacle. Loud, they proclaimed that my sushi was gross, the seaweed choking, the radish disgusting. They said my kimbab was gross. My mom's homemade kimbab. That I was gross. The observing lunch monitor, looking down at my food, advised me to join diversity club. Channeling my inner Hermione (or Cho? ), I questioned and sought answers. These questions festered into my high school years, drawing from my own insecurities and what I observed in the world around me. Why did those kids refuse to call my kimbab anything but sushi? Why do people keep calling my mom "Sue"? "Soon" is already shortened from "Gyoung-Soon". Why do I care so much about my grades? Am I just another model minority? Would I be happier if I was skinny and blond? Why do I see so few Asian-Americans on the screen? Why don't more Asian-Americans vote? My questions bubbled and boiled, until last year, they burst: for an English assignment, I wrote 17 pages on the role of stereotypes in Asian-American silence and complacence in politics. I read Frank Wu's Yellow, an analysis of his experiences in America as an Asian, an argument for how stereotypes pit minorities against each other, and a call for coalitions and change. 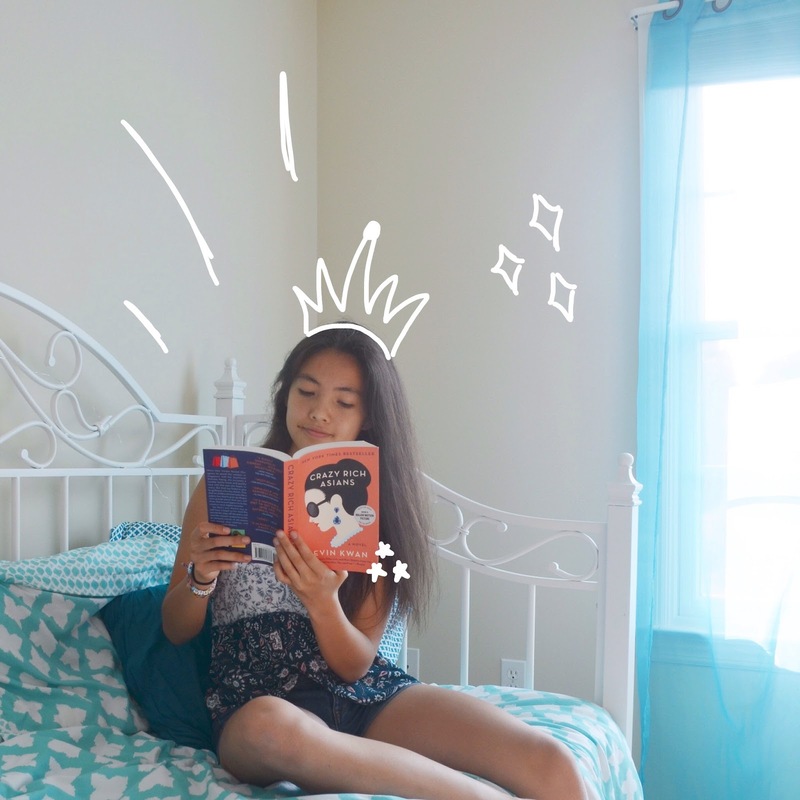 I read my first YA fiction novel featuring a Korean-American girl like me: Jenny Han's To All the Boys I've Loved Before. I connected to Lara Jean immediately, a high school student reconciling an Asian identity with an American one, finding a fusion culture in food at home, living with an adorable younger sister, not always making the right decisions, pursuing some kind of happy ending. Hungry, I consumed more: I read Maurene Goo's I Believe in a Thing Called Love, another contemporary romance featuring a Korean-American girl that, like me, loved good ramen, making lists for everything, and setting goals with plans to achieve them (so much so that she devises a plan to orchestrate her dream romance). I watched a lot of Ryan Higa and Wong Fu Productions and Kina Grannis, Anna Akana and JENerationDIY and 1 Million Dance Studio. I started listening to Kpop to try and pick up some of my mother's tongue. I am still not old enough to vote, but I strove to read more about current events and develop my own opinions, so that I can exercise my Asian-American voice when eligible. This year, I watched Crazy Rich Asians and Searching in theaters. I smiled and laughed watching Rachel Chu, portrayed by Constance Wu, discover her fairy-tale ending. I connected to her: an intelligent woman seeking love and happiness. I could be her, one day, a bold, understanding, caring college professor. Many have asked why these movies, showcasing Asian-Americans, are so important to display in America if Asian movies already exist in Asia. This criticism, rooted in the idea of the perpetual foreigner, fails to make a clear distinction: Asian-Americans constitute an individual group that face different challenges and experiences than Asians living in Asia. Asian-Americans, hailing from overseas or born in the United States, emerging from over twenty ethnic groups, having one Asian parent or two or none at all, vary widely in background and truly are a uniquely American group that deserve representation. Born and raised in America with an immigrant mother and a white father, I still struggle to find it. To some Americans, I am other: an American peer questioned my citizenship, though I was born in North Carolina and have only known America. But in Korea, I am other too; I am American. I do not speak Korean, my skin is tan. Rachel Chu in Crazy Rich Asians endures this same conflict when she first goes to Singapore: because she is an ABC, American-born Chinese, rather than born and raised in China, Nick's wealthy family and others around her treat her as an outsider. 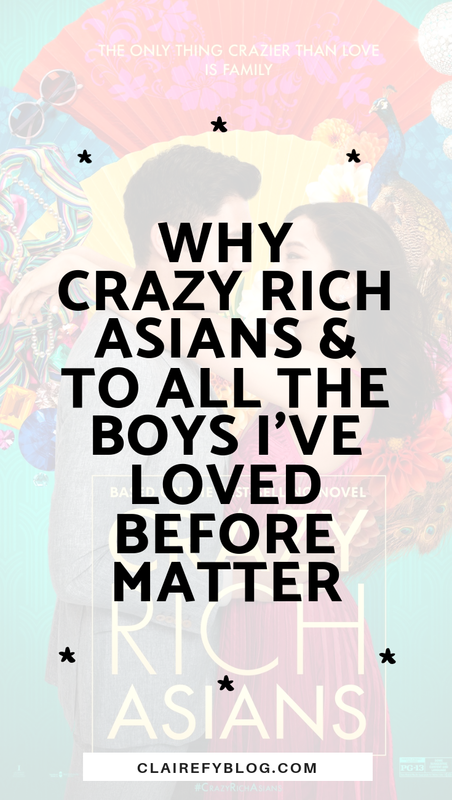 Crazy Rich Asians, Searching, To All the Boys I've Loved Before, and media featuring Asian-Americans depict these experiences for Asian-Americans, a group in the gray. 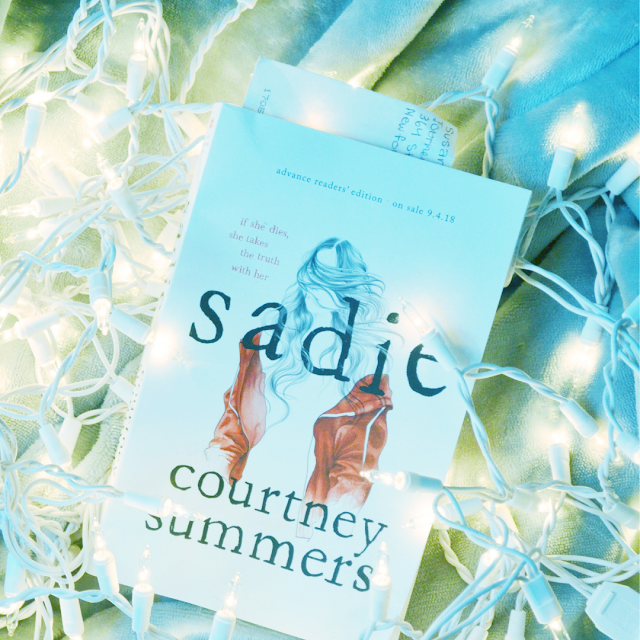 As I watched Constance Wu as Rachel Chu, everything I aspire to be-- creative, intelligent, strong, beautiful, and powerful-- overcome and find her happy ending on the big screen, I could hear my mom and younger sister crying next to me. Their tears fell joyful, excited, and seen. I really loved this. Your writing is fluent and catchy. You remind me of myself at the age of 11 and now you just gave me the desire to start a blog once for all. haha Thank you. Concerning the topic, i'm not Asian, i'm African but i can relate to your experience, somehow. And it's great to see how you could express yourself about it so "poetically". We all are looking for our own place and to be representated in every kind of (social) media seems to be a good way to find that place. The environment in which you grew up is not specifically pleasant because of the great indifference towards diversity, and it's a "both-side" job to educate and stream about that identity you are/you have. I mean, don't always blame others for asking you where you are from, some don't do it on purpose unlike others "clever-less" who like teasing for free. And if such a question "where do you come from" bothers us a lot, is because we totally assimilated the culture of the place we are living in or where we were born in and that we forgot that our features stay a physical imprint of our origins somehow and we might not be annoyed or ashamed of that. I am goofy with words and i don't know how to explain you clearly what i try to mean. Sorry. Anyway, i totally felt you, because even in several african societies, many media keep spreading an eurocentered mainstream culture and people, especially children and youth are looking for models that look like them and these ones are almost non existant. Why? The western and westernized people sell more. Fortunately, things are changing little by little now and we see more and more afro hair, dark skins, traditional clothing on tv and other mainstream media, valorised by the youth. I have to go, but i subscribed already and to me you are Claire Granger! (I've also wanted to be Hermione but she wasn't black haha) keep it up! I get what you mean! I am Korean-American, and I was born and have lived in the States all of my life. When others ask me that question, they often anticipate that I answer somewhere foreign because of my biracial appearance rather than having grown up here. I am young, but even in my lifetime I believe I am seeing a change in the inclusiveness of a lot of American media. There are still long strides to be made, but I am excited to see the progress made and work to make more in the future! This is such a great post. I absolutely loved reading about your experience and how seeing asian-american rep in movies/books means a lot to you. It's something that i think a lot of people that don't go through that don't understand. but through reading blog posts and similar outlets i can start to understand why this representation matters. i'm part native american so i can understand seeing a lack of representation in the media. we are oftentimes portrayed in a bad way on film and there are national holidays celebrating the genocide of our people. anyways, i'm veering off-topic but i'm so happy that you are finally able to feel more connected to your roots and feel represented in the media. I really enjoyed this post. It made me consider a viewpoint that I had not considered before. As a middle aged British white woman I have never really considered what it is like to be misrepresented or under-represented in books, movies, tv etc. This is such a beautiful and important post. Representation matters so much, and you wrote about this so eloquently from your experience in a way that is accessible to others without placing any blame. It is hard for many of us to imagine a world where we aren't represented in media: it's the little things that build up a worldview. Thank you for this post and for sharing your voice. oh my god - you are incredible at writing - really good topic and you made me really understand you and the thoughts you discuss.